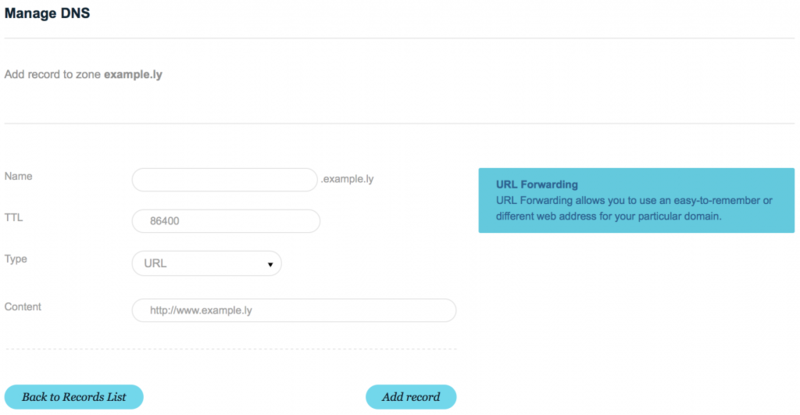 Using our free DNS Management service, you can setup your .LY domain to use with your Heroku app. – From the main menu, choose “Domains” then My Domains. – Click on “Manage Domain” next to the domain you wish to update or modify. 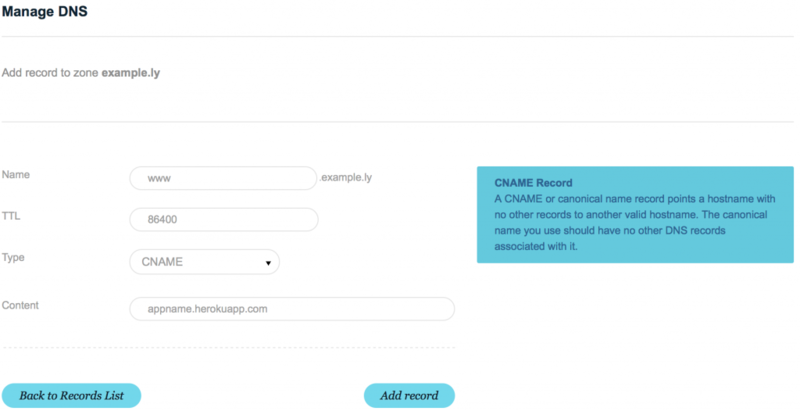 where ‘appname’ is your app name as shown on your Heroku account. Click ‘Add Record’ to submit the changes. where ‘example.ly’ is your .LY domain name. – You may also open a ticket and ask our technical support team to apply the changes on your behalf.